The Jedediah Foster Homesite is significant for its association with two men who made great contributions to their community and country: Brigadier General Joseph Dwight and Jedediah Foster. Joseph Dwight was a soldier and politician who played an integral role in the French and Indian War. Dwight built the Foster House around 1735; his daughter, Dorothy, married Jedediah Foster in 1749, and Dwight deeded his house over to the couple soon after. Jedediah Foster practiced law in the small office he built adjacent to the house. Foster served as a representative in the Massachusetts legislature from 1761 to 1775 and again in 1779. He supported the American cause for independence, was a colonel in the militia during the Revolutionary War, and served as a justice of the Superior Court of Massachusetts. Perhaps his most notable achievement was his involvement in the drafting of the Massachusetts Constitution, as one of the thirty men appointed to the Constitutional Convention in 1779. Foster and fellow townsman William Ranger were the first in the area to volunteer for an inoculation against smallpox, thereby lessening the fears that their fellow townspeople may have had about such a new means of combating this dread disease. 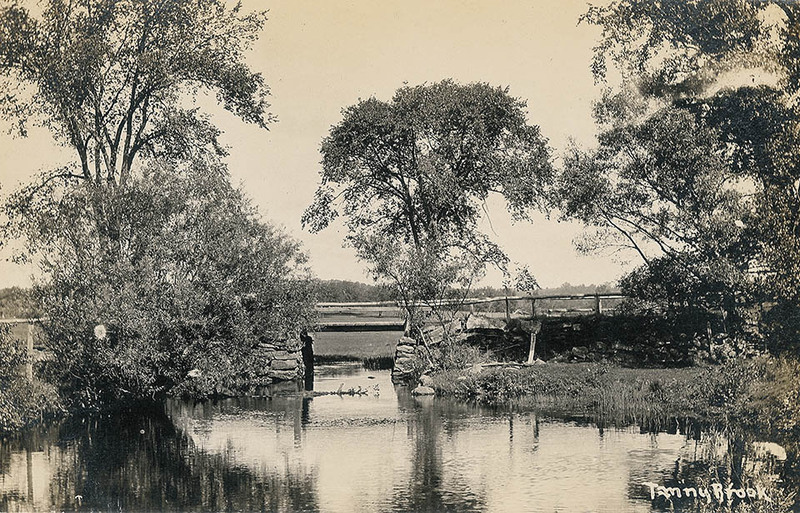 In its day, the Foster House was one of the most famous in the state, and sat on 75 acres. 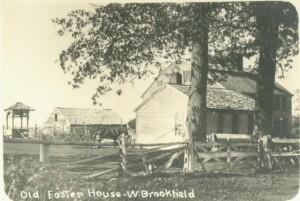 Over time, the Foster family sold off large portions of the parcel; the house and half an acre of land remained under the ownership of the Foster family until 1901. In November 1901, a fire broke out in the law office, destroying it and the house, both uninhabited at the time. In 1902, the Foster family deeded the ½ acre parcel to the Quaboag Historical Society, with the restrictions that no building ever be erected there, and that the property should be forever kept open as a place of historic interest. Today, the site contains remnants of the house and law office foundations, two entry stones, and a partial stone walkway. 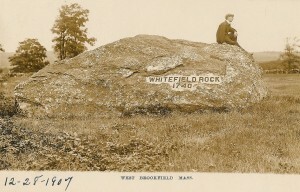 The homesite has remained relatively untouched and intact following the fire of 1901. 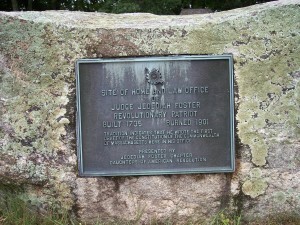 The Quaboag Historical Society has set up picnic tables and an information kiosk near the foundation, and the Jedediah Foster Chapter of the Daughters of the American Revolution has placed a historical marker commemorating Foster on the edge of the property.